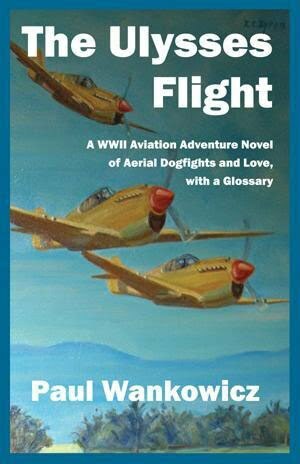 Terra Sancta Press is pleased to announce the release on June 9th of their latest novel The Ulysses Flight, A WWII Aviation Adventure Novel of Aerial Dogfights and Love, with a Glossary, by Paul Wankowicz. The Ulysses Flight kept me reading to the end. A beautiful Dutch refugee, a disenchanted American pilot and a distinguished British officer form an unlikely alliance to move three American planes past Japanese lines at the onset of World War II. Their mission becomes more vital when the team must deliver a smuggled Japanese codebook to the Allies. Paul Wankowicz has produced a well-researched book that is partly a story of budding love; partly a story of underdog dogfight survival, and partly realistic war history. Many books offer a single viewpoint or character to describe the impact of war. But Wankowicz shows how war changes the lives and futures of local residents, as well as the Yanks, Brits, Aussies and even Japanese, whose lives intertwined as they fought in the Malayan Peninsula and south. “War is Hell” is proven in his pages. The Ulysses Flight is an historical novel that captures the atmosphere of its time—The beginning of WWII around southeast Asia: action, adventure, romance, and the reality of suffering endured by those who lived through the difficult days when Japan was expanding its empire. The lives and hardships of civilian and military personnel are described in accurate detail as background to a tragic love story. A true page-turner. The Ulysses Flight by Paul Wankowicz is a page-turner which has almost everything: a fascinating setting, believable characters, a riveting plot, history, and surprises produced by a knowledgeable author who provides authentic detail. The Ulysses Flight is more than a good flying story: it is an intimate picture of diverse people responding to the end of their pre-war world; and at the same time, taking courageous steps to influence the shape of the world to come. I hated to have it end. Action adventures. The Japanese invasions of Burma, Malaya, and Singapore Island. Dogfights pit Curtiss P-40 pilots against the agile Japanese Zeros. Daring pilots. Smart, competent, beautiful women. A spy captures a secret codebook. Impossible missions. Aviation history. Transcendent love. The Ulysses Flight has it all! 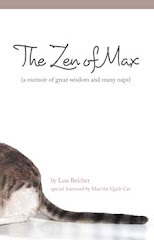 This was certainly one of the best books I have ever read! The pages turned themselves once I got into the chapter that introduced Lisa to Frank! What a pair, and Mia and Johnny too! Johnny was such a technical pro, so well-organized, knew what to do ... the brains of the trio and so unassuming! I loved how independent Lisa was, and such a forerunner of the Feminist Movement in all the good things! I like how points of view alternated from the Japanese to the British, Australian, and U.S. That look, the communication by the elderly Japanese fighter pilot who chose not to kill Frank, and then was killed by Lisa was especially wrenching. She being unaware of his mercy, was just looking out for Frank, and thought it was a kill or be killed situation. So much misunderstanding and lack of communication during a war and chaos. Lots of thought-provoking issues here. I think you have an international bestseller on your hands. A fellow writer with Paul, I have been involved to a small degree in helping him get this story launched. Paul is a remarkable individual with vast and strange life experiences, whose stories of his work in Iran and Viet Nam fascinate me ceaselssly. A modest man, Paul believes that no one wants to listen to him tell of his exploits, but he recognized years ago the need to record his life story. That effort to capture his experiences from all over the world has emerged in the form of novels. If you like "The Ulysses Flight," encourage him to launch the rest of his stories. Yes, there are more ... ! As a fellow writer, I have helped Paul Wankowicz in a small way as he has worked to launch this story. 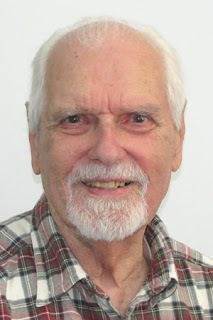 Paul is a remarkable individual with a vast, strange, and wonderful life experience, and his stories of his work in Iran and Viet Nam fascinate me ceaselessly. Paul is a modest man who cannot fathom why anybody would want to hear him talk about what he's done. But he recognized years ago the importance of recording his life experiences, and that has come about in the form of novels. So, if you enjoy "The Ulysses Flight," please encourage Paul to launch the rest of his stories. Yes, there are more ... ! Congratulations Paul! It is wonderful to see it pubished. do you review this blog? ?